¶ 1 Leave a comment on paragraph 1 0 The 1953 Evaluation Committee report recommended a clarified relationship between state and regional councils and NCFR. 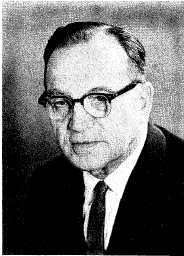 Robert Foster, chair of this committee in 1953, presented several proposals to the presidents of the affiliated councils along with revisions in the constitution to reflect them. Even as late as 1957, not much had been done about this.